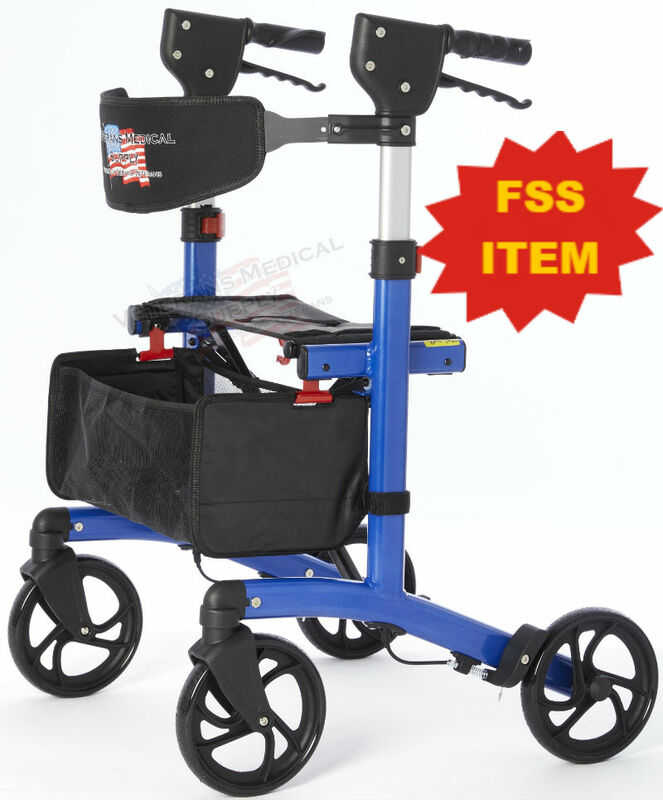 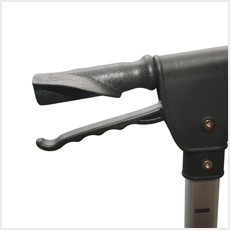 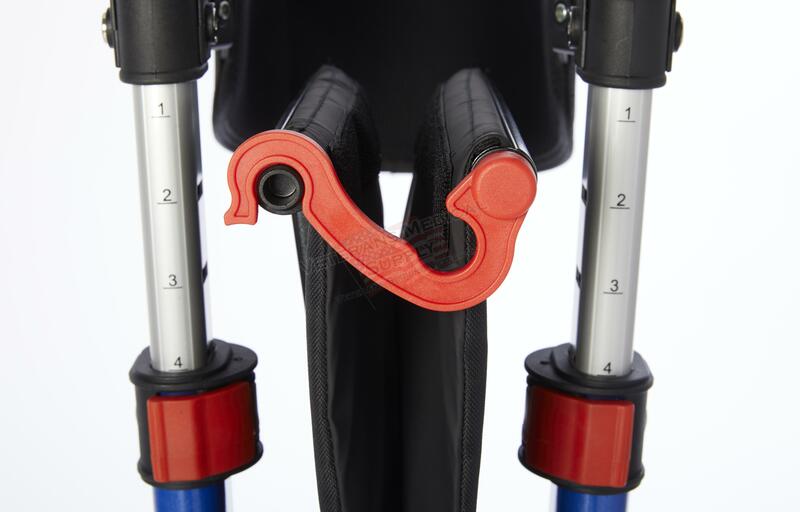 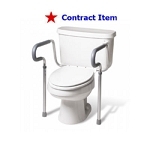 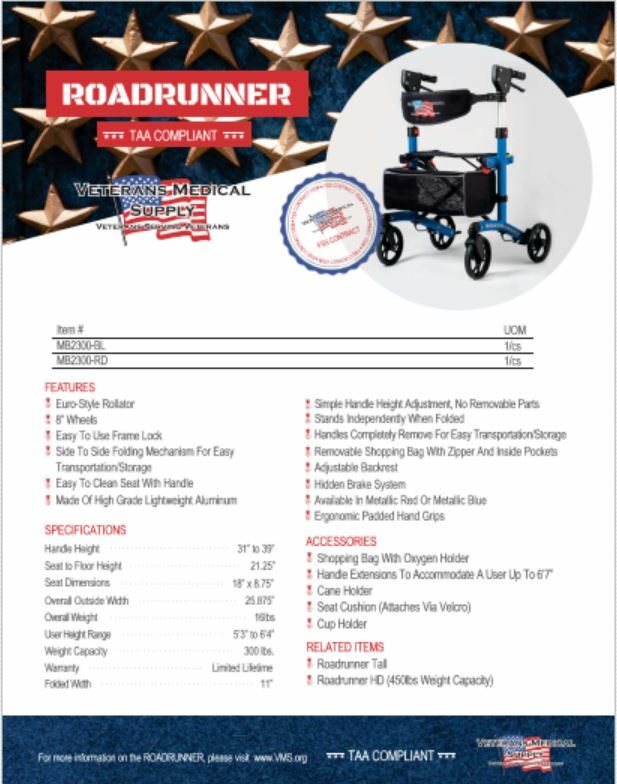 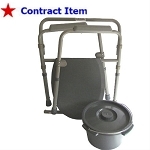 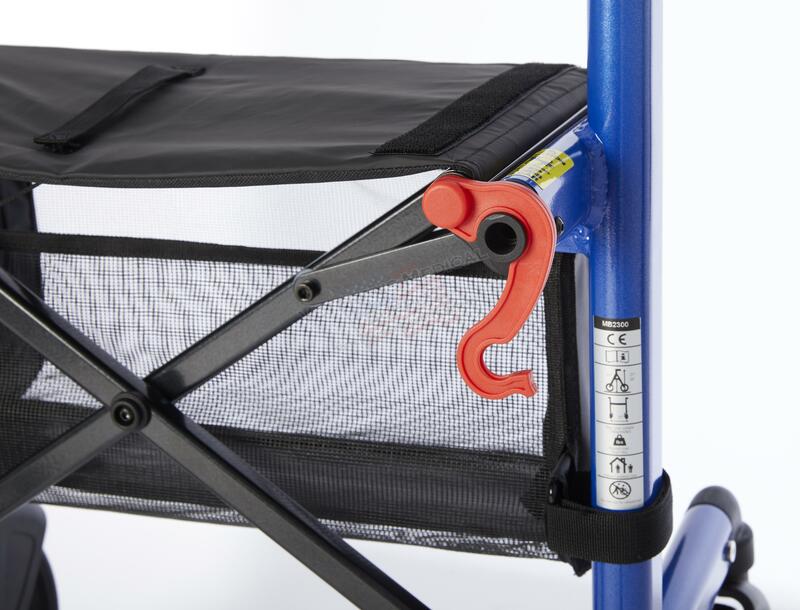 The Roadrunner Rollator is manufactured by Veterans Medical Supply Inc, is TAA Compliant, and is on FSS Schedule V797P-3195M. 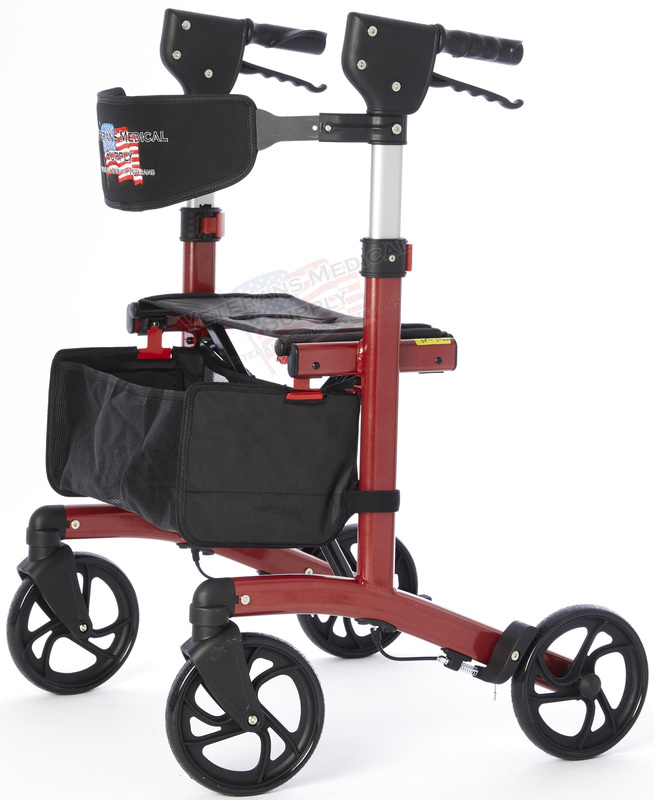 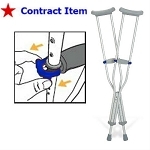 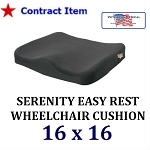 It is available in 2 colors, Red or Blue. 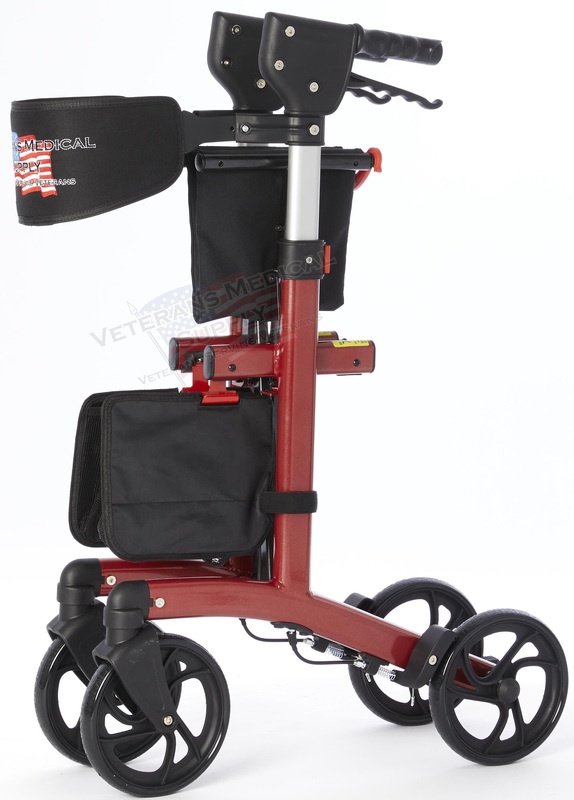 Seat to Floor Height 21.25"